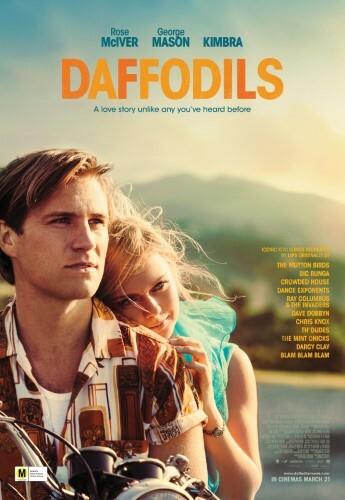 DAFFODILS is a heart-aching drama of a quintessential New Zealand marriage, told with iconic New Zealand music. Inspired by a true story, this musical love story features the songs we grew up with: tracks by Crowded House, LIPS, Bic Runga, Chris Knox, The Mint Chicks, Dave Dobbyn, The Clean, The Exponents, Darcy Clay, Mutton Birds, Th’Dudes, The Senators/Ray Columbus and the Invaders, The Swingers and Blam Blam Blam. DAFFODILS is based on the much-loved and critically acclaimed (winner of a Fringe First Award at the Edinburgh Festival Fringe) stage play written by Rochelle Bright.